We know it has snowed but this could be one of our best auctions ever. 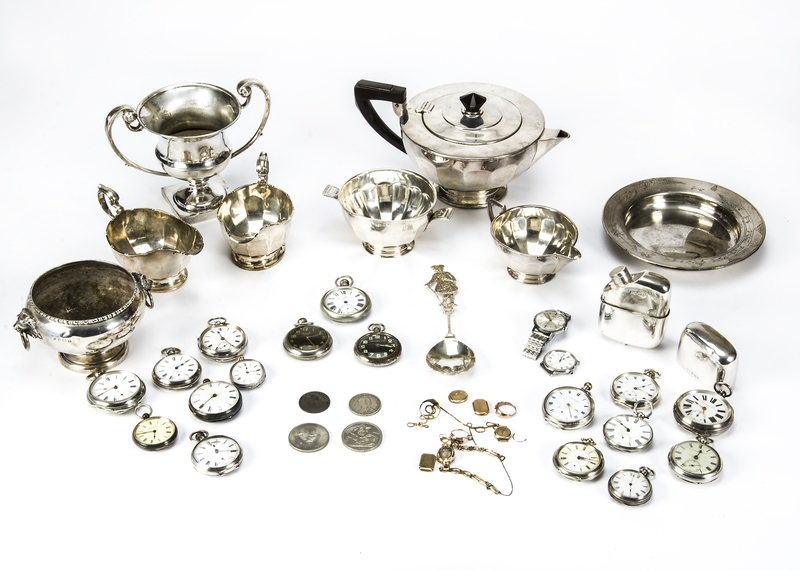 There is a fantastic collection of silver and watches for sale. Driving from New Alresford to Winchester this morning was only damp. No snow or ice on the main roads. The auction tomorrow, Saturday 2nd February will go ahead at Badger Farm Community Centre, Winchester. It’s at the bottom of the Sainsbury’s car park and Sainsbury’s will be make sure that is open. Viewing from 12:30 – Auction at 2pm. In the weather does give cause for concern, please check this web site for updates or our Facebook Page Auctions in a Day. There will be Facebook updates on the lots as they come in from 09:30 tomorrow. Auction Reports, Updates and News Badger Farm, Updates and News. permalink.